Continuing its collaboration with Vans, Fear of God chose the style 147 silhouette as its next model to give a new look. It looks like your normal Vans slip-on however there is a strap in the tongue area with the "FEAR OF GOD"emblem to represent the partnership. The upper is a combination of canvas and suede material which stays true to Vans roots. 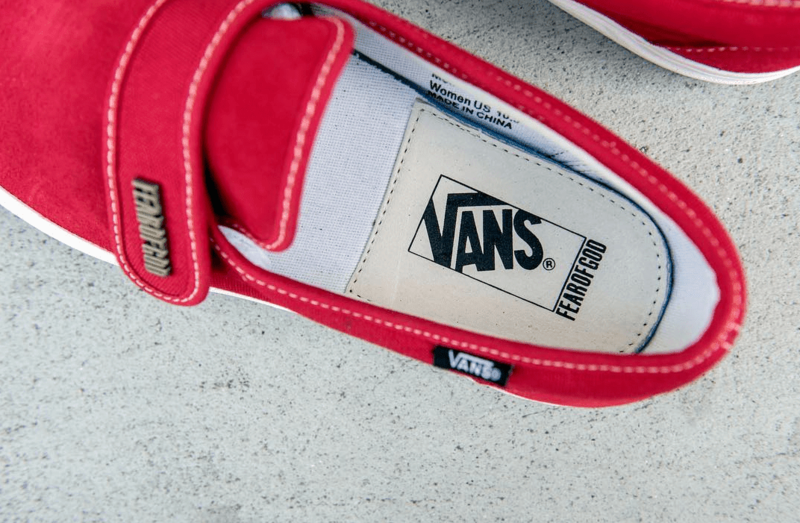 More design details include the Vans tag on the lateral aspect of the heel area as well as the Vans and Fear of God inscription in the midsole. This looks nice and a somewhat fresh take on the classic slip-on that we are used to seeing in Vans. Will this reach here in our country? Only time will tell. Who knows, we might see them since we are seeing Vans collaborations pop in their stores.